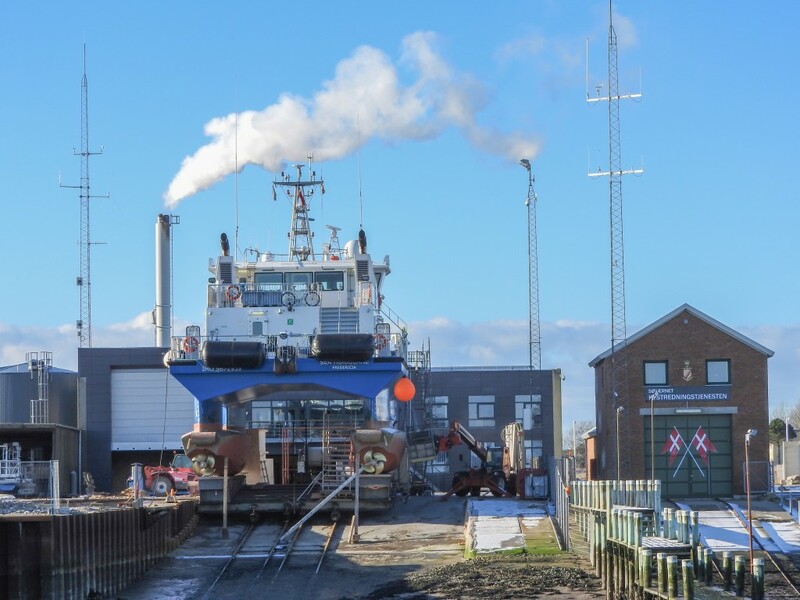 The Port of Romo has a newly renovated slipway facility, which is currently used for fishing vessels and supply vessels that supply the wind farms in the Wadden Sea region. All kinds of ship repair and maintenance is carried out on the slipway facility, and this work is offered and performed by established companies at the port. Width of vessel: up to approximately 11m. Ship weight (keel boats) up to approximately 200t, and catamarans up to approximately 120t. For catamarans, the maximum distance between the centreline of one hull to the centreline of the other hull is 8 metres. See additional information in the Port of Romo’s Terms of Business. click here.